To keep me busy during my "retirement" (joke). To encourage me to use my collection of cookbooks more and not just return to the same books all the time. To improve my own cookery skills (and food photography skills). To share some of my favourite cookbooks and recipes and to (hopefully) have people enjoy them. With that said ... the first recipe from a cookbook is one of those books that I do actually go back to, time and time again (typical). 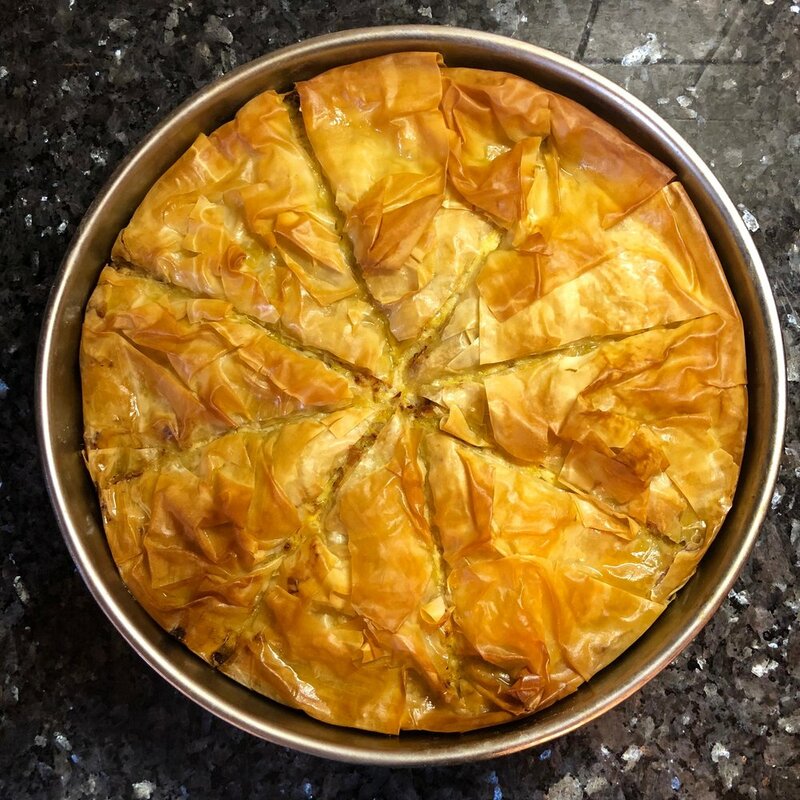 The Recipe ... "Chicken Pie (Kotopita) of the Vlachs"
The Book ... "Vefa's Kitchen: (published by Phaidon) (Latest version is called "Greece: The cookbook" by Vefa Alexiadou. 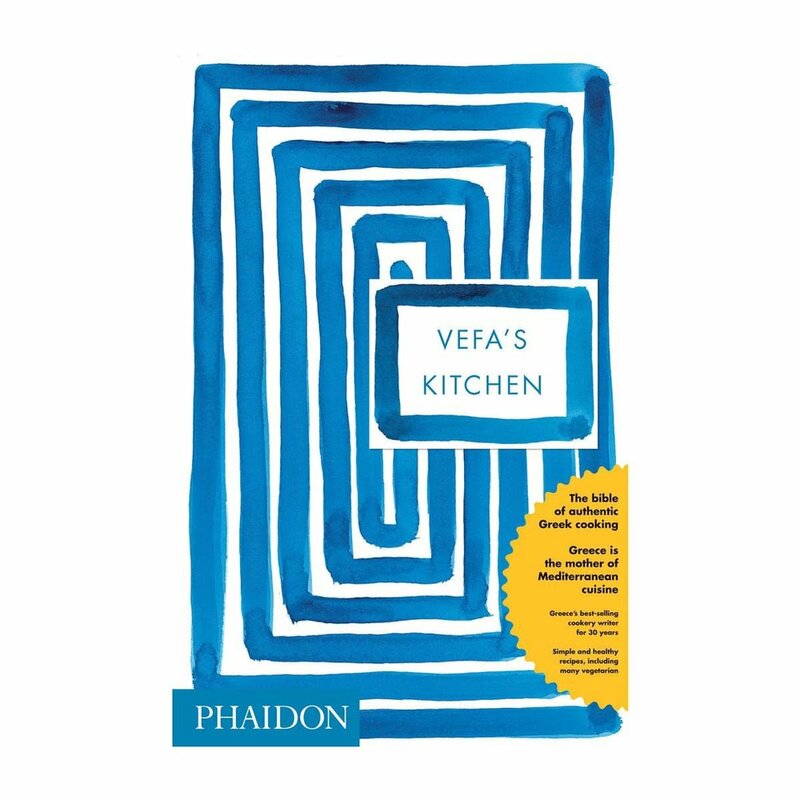 Vefa (I feel that given the amount of time i have spent cooking from this book I should be on a first name basis with her at this stage) was unknown to me at the time of purchase but with a little research and anecdotes from “herself” on seeing her on Greek TV growing up, it has transpired that she is the Greek equivalent of Delia Smith or Darina Allen (this I will confirm at a later date! ), considering the place that both had in my learning to cook (and the impact one will have in improving my cooking) this was fate! I bought this book as it was supposed to be the "Bible" of Greek cooking and I wanted to learn as much as possible about Greek food and culture, especially considering the amount of time I was spending in Greece and with Greeks !!! I think this is a fair description of the book and I base this only on the amount of recipes (700+), the regions of Greece it covers and of course the amount of times I have cooked from it and will still cook from it, I doubt this will be the last recipe I post from this book. Onto the recipe ... this is one that I really didn't want to share (fail) as it always goes down well with friends and family. I've been making this dish regularly now for a few years, as some of you will have noticed from my personal instagram feed (think we are up to four photos now) and it has evolved quite nicely from my first attempt. 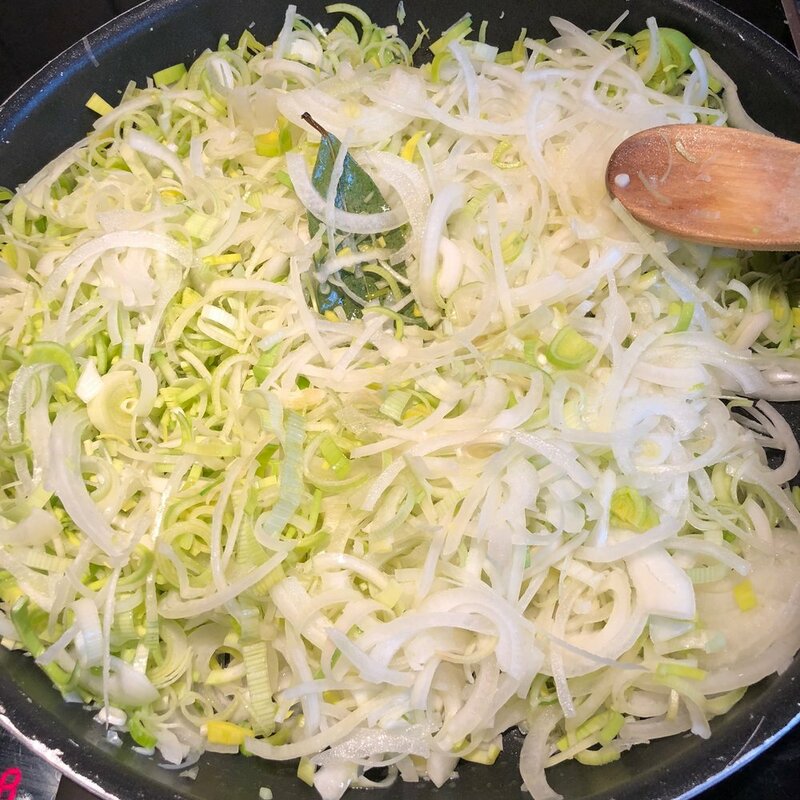 This is one of the wonderful aspects of cooking for me, the ability to tweak and adjust a recipe whenever you need or ... based on feedback received! 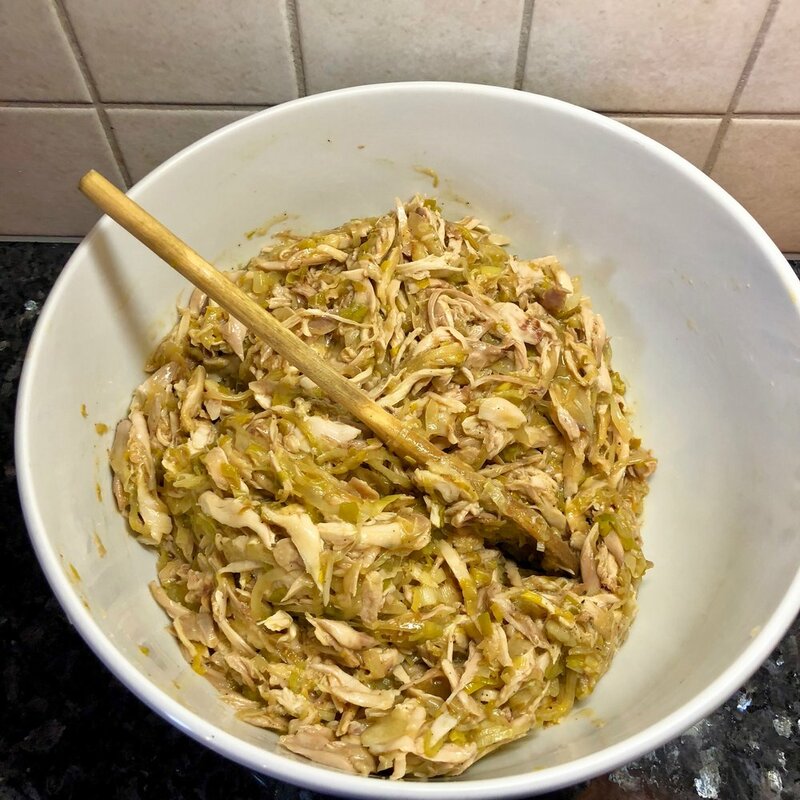 In this recipe I never really read the recipe properly and just followed my own method (there's a little of that below) for example I never shredded the meat, before I just chopped it small and that made it more difficult to eat and enjoy. I also add almost double the amount of spices and bay leaves as I find I like the flavour that it imparts (some might find it a little strong). I also like to poach the chicken in stock where "Vefa" pan cooks it! 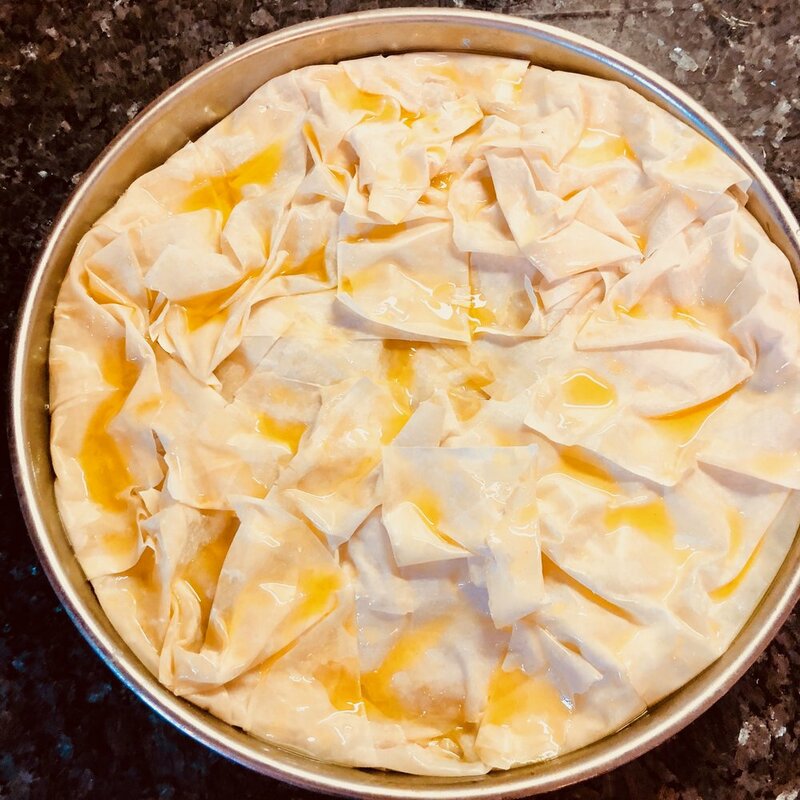 Remove pastry from freezer !!!! (if steps 2-11 seem too laborious) - Today I am using store bought as I have good quality pastry in the freezer! If you have the time and are injury free follow the below ... it gives a different finish! Lightly dust a baking pan with flour and set aside. Sift together the flour, salt & baking powder into a bowl or food mixer bowl. Make a well in the centre of the flour mixture and pour in the oil, vinegar and water. Either using your hands or the dough hook attachment on your food mixer knead until you have a soft elastic dough (add a little water if necessary). Divide the dough into small balls (8 - 10) and place side by side on the preprepared baking pan. 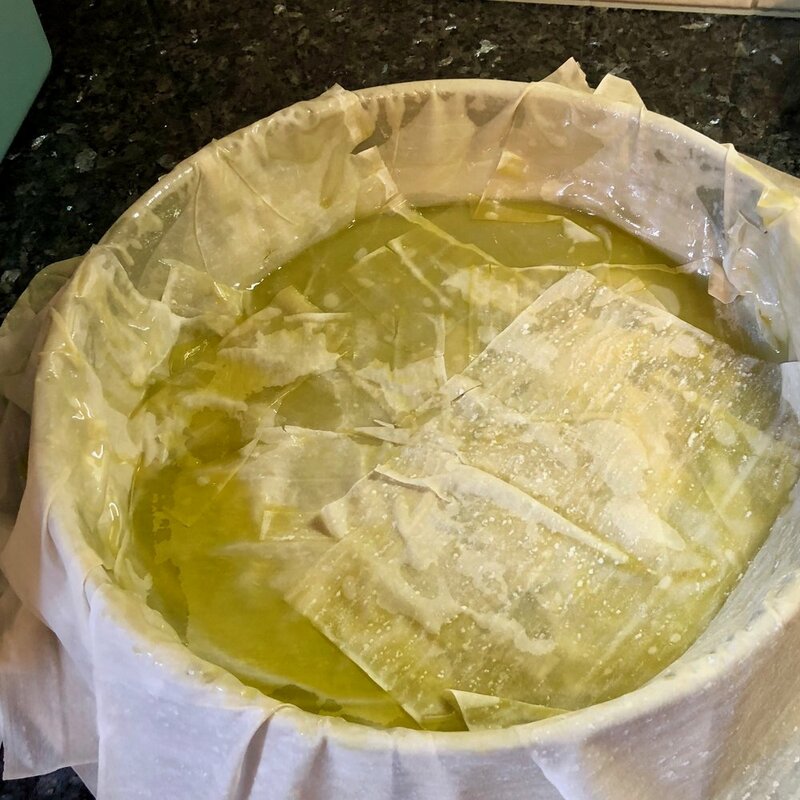 Cover with cling film or a damp tea towel and allow to rest and rise for 1-2 hours. Lightly dust a clean worktop with cornflour. Roll out each ball to about 20 cm in diameter and about 3mm thick. When each ball is rolled out brush each disc with olive oil. Remove the chicken from the water / stock and allow to cool. Once the chicken is cooled, remove the bones then shred or pull apart. Allow to cool, pick out / remove the peppercorns, allspice and bay leaves (this is the most annoying part of the process but make sure to get all the bits out as no one wants to bite on an allspice berry or peppercorn. Add the chicken to the pan with onions and leek mixture and mix well. Bake for between 45 minutes to 1 hour or until golden brown (the one pictured was around 45 minutes).